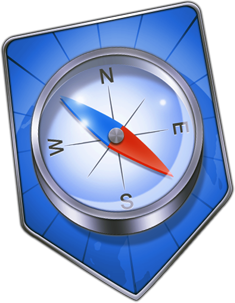 Incognito is based on the super powerful WebKit browser engine used in Safari. Incognito is a browser that takes user privacy very seriously, it prevents the browser from saving any history about sites visited. Furthermore it also prevents cookies from being saved and can find and delete "Flash Cookies" created when using Incognito. Finally Incognito will prevent HTML 5 databases from being created on your hard drive, which really does infringe on your privacy when online. Incognito features a beautifully designed icon drawn by Bluespark, all inspired by Iconresource.net, thanks Sebastiaan.